Learn about the Flip overdue process and find out what you can do to avoid billing issues. We will email your invoice to you on your bill date. The due date and bill date are identical, as Flip is a pre-paid service. All your Flip invoices can be accessed from the 'History' section of your My Account. Can't find your bill or can't access your Flip My Account? Send our team an email at support@flip.co.nz. What happens if a bill is left unpaid? 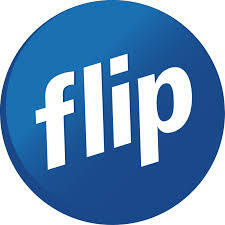 Flip does require all customers to complete full payment of their invoice within 7 days of the bill date. If payment is not received within 7 days, our system will automatically place restrictions on your services. You can read more about service restrictions here. In cases where payment is not received within 28 days of your bill date, your services will be disconnected. You can read more about service disconnection here. Please remember that service restrictions are completely avoidable and if you have any queries relating to your bill, you can send our team an email at support@flip.co.nz. Please note the following regarding service disconnections. You will need to pay off the owing balance on your existing account and sign up for a new account to reactivate your services. New connections generally take 5-10 business days to complete. You may not be able to retain your current home phone number and will need to pay your first months plan charges in advance as well as connection fees. You will lose any carry over data and minutes that you have remaining. Service Restrictions: These are placed on to Flip services if payment is not received within 7 days of the bill date. This means you won't be able to make outbound calls and will only be able to visit the Flip website (so you can clear your bill by topping up). Service restrictions are only removed once we receive your full bill payment. Service Disconnection: If your bill from us is not paid in full and funds are not received within 28 days of the bill date, your services will be disconnected.